What is the Vatican bank? The official name of the Vatican bank is the Institutes for the Works of Religion; in Italian, this translates to Istituto per le Opere di Religione. The acronym IOR is derived from the Italian name of the bank. The terms “Vatican bank” and “IOR” are used interchangeably. How is the Vatican bank different from banks outside Vatican City? For the first seventy years of its existence the Vatican bank operated as a hybrid between a central bank of a sovereign country and an aggressive investment banking firm. (Gerald Posner, God’s Bankers, xiii) The Vatican took advantage of its sovereignty to avoid transparency and regulation. Although there were provisions for supervision of operations, actual oversight was frequently lax. Why did the Vatican establish a bank? The IOR, or Vatican bank, was established by Pope Pius XII in 1942. At that time, as today, Vatican City was an independent city state and governed itself; in addition, the Vatican was a neutral country. In 1942 the Vatican had both financial assets and income. Since the Vatican did not know who would win World War II, the Axis or Allied powers, having its own bank allowed the Vatican to invest in companies in either Axis or Allied countries and change investments depending on how the war was going. It could prevent its assets from being seized or frozen and the Vatican could keep its transactions and its holdings secret. If banks outside the Vatican were handling the church’s money and managing its investments, personnel at those banks and their regulators would know sensitive information that the church did not want to disclose. How did the Catholic church obtain the wealth it held in the Vatican bank? In 1929 the Vatican entered into an agreement with Prime Minister Mussolini known as the Vatican Pacts. These agreements designated a parcel of 108.7 acres within Rome as Vatican City, a territory belonging to the church, to be governed by the pope. In addition, a few dozen church properties in Rome and beyond were entrusted to the church; they would not be taxed by the Italian government or under state oversight. Of special interest is the fact that Italy paid $92 million to the church for territory it surrendered to the state. The church was required to reinvest 60% of this amount in government bonds. (Berry, 65) During the depression years, the Vatican invested in Italian companies (there were 70 ledger pages of companies) and real estate, totaling 40 million square feet of land. (Paul L. Williams, The Vatican Exposed, 37-38) In 1942, the safeguarding of this wealth, as well as safekeeping income from a church tax paid by Germany to the Vatican, were primary reasons for the establishment of the IOR. A 1933 Concordat between Nazi Germany and the Vatican stipulated that a 9% tax on income of all Catholics in Germany would be paid to the church. This worked out to approximately $100 million a year. (Williams, 45; 51) It should be noted that from 1929 to 1942 the $92 million Mussolini paid the church had grown to nearly $1 billion due to the investment strategies of Bernardino Nogara. How did Pope Pius XII establish the Vatican bank? Pope Pius XII established the Vatican bank by issuing a chirograph. A chirograph is a document issued by a pope and its circulation is limited. Chirographs originated in the Middle Ages. Usually the same message is written two or three times in the same hand on a piece of parchment and the word chirographum separates the first message from the second, and, if there are three messages, again from the third. The parchment is cut through the word chirographum, and interested parties each retain one hand-written section. In the ten years prior to the institution of the Vatican bank, church investments and finances were handled by a so-called Special Administration under the direction of Bernardino Nogara. What roles do the Curia and College of Cardinals play in regard to the Vatican bank? The Vatican bank is independent of both the Curia and the College of Cardinals; its management answers to the pope. This being said, both the Curia and the cardinals can affect the operations of the IOR. The concept of the Curia dates from the Middle Ages and it is modeled upon the court officials who served the king or emperor. In the Vatican there are many offices which make up the Curia, each presided over by a member of the hierarchy. Some curial officials resent the power the IOR has in regard to finances and others are jealous of its influence with the pope. In both cases, officials can act in ways to undermine the Vatican bank by lobbying the pope against its management or practices. As far as the College of Cardinals is concerned, these are the senior clerics who elect the pope. When they are pleased with the way the IOR is operating, they are apt to back a candidate for pope who will continue the bank on its course. Conversely, when they are concerned about bad publicity associated with the bank, or financial losses, or management issues, they are likely to vote for a candidate who will make changes in the bank. What is the mission of the Vatican bank? What assets are held in the Vatican bank? Who has accounts in the Vatican bank? Religious orders, cardinals, bishops, foundations, Vatican offices, Vatican employees and diplomats stationed at the Vatican have accounts in the Vatican bank. Many accounts were closed in the last round of house cleaning. Some of the closed accounts belonged to individuals who were deceased and others belonged to persons or entities with no relation to the bank’s mission. According to the IOR website, in 2013 the number of accounts was 17,400, down from 21,000 in 2011. A past issue with the bank was that legitimate account holders, such as members of the clergy, could deposit ill gotten money from acquaintances and subsequently have the money transferred to Swiss bank accounts held in the name of the other parties. This could allow for avoiding taxes, and laundering money used in the arms trade, narcotics, or mafia-based enterprises. To prevent this from happening now, surveillance of account activity has been intensified. What functions does the Vatican bank perform? Before its reorganization in 2014, the Vatican bank invested church assets, maintained salary and pension accounts for Vatican employees, engaged in international payment transfers through correspondent banks, and made money available to the pope for use at his discretion. The bank ordinarily does not make loans; it does not issue securities or other financial products. Since its reorganization, the Vatican’s wealth management has been handled by an investment firm. What is the relationship of the pope to the Vatican bank? The Vatican bank was established by Pope Pius XII and he and his successor popes have been the sole shareholders of the IOR ever since. (Posner, 118) This means that the pope, on his authority, can use the profits of the bank as he sees fit and that he can dissolve or continue the existence of the Vatican bank, again, as he sees fit. Who regulates the Vatican bank? Up until 1990 a committee of cardinals called a board of superintendence was tasked with overseeing the management of the Vatican bank. In 1990 Pope John Paul II clarified the responsibility of the committee by requiring that they review audited accounts twice a year that are issued in accordance with acceptable international standards. In addition, the cardinals were required to appoint a five-member lay board to oversee operations and define strategy. The cardinals were also tasked with appointing a prelate who would attend meetings of the oversight board and act as secretary of the meetings held by the cardinals. In order to comply with requirements of the European Union, in 2010 Pope Benedict XVI created the AIF, and charged it with prevention of illegal activities such as laundering money from criminal activities or financing terrorism. In 2012 Pope Benedict strengthened the statute prohibiting these practices. In 2013 Pope Francis added to the statutes promulgated by Benedict by outlawing any IOR activities that could facilitate the proliferation of weapons of mass destruction. Also in 2013 Pope Francis strengthened requirements for transparency and supervision of financial information. Conforming to financial regulations required by membership in the European Union required the Vatican bank to make the most far-reaching changes in its history. Are the ledgers and records of the Vatican bank open to public scrutiny? Have there been any recent movements towards transparency? Currently, summary data about the Vatican bank is available on the IOR website; this data includes customers’ assets, equity, net profit, number of customers, and number of employees. Customers’ assets are divided into three categories: deposits, asset management and custody. Net profit in 2013 was 2.9 million Eur, down significantly from 2012, when the profit was 86.6 million Eur. Audited financial statements of the Vatican bank for 2012 and 2013 are available to the public on the website. The first published audited financial statement was in 2012. Profits rebounded in 2014 to $76 million, due to the fact that costs associated with restructuring were reflected in the previous year's low earnings. What were the investment strategies of the Vatican bank in the past? In the 1940s and 1950s the Vatican bank was heavily invested in Italian industries, owning large shares of building, energy, and banking corporations and real estate. In the 1960s there was concern that leftist Italian governments might nationalize these industries and the investment strategy changed to focus on the U.S. stock markets and banks in Italy and abroad. By the 1980s it was obvious that the IOR was losing money in its banking investments and some of these investments involved illegal activities which were costly to the bank both in terms of losing money and damaging its reputation. In recent years, the Vatican bank has focused on relatively safe and conservative investments. Since 2014 Vatican investments have been handled by a financial firm, not the IOR. What were the investment strategies of the Vatican bank in the years leading up to the global financial crisis? The initials APSA stand for the Italian name of the Administration of the Patrimony of the Holy See. APSA is operated under the office of the Secretariat of State of the Vatican and it is responsible for all real estate as well as raising money for the Curia’s budget and the Vatican payroll. APSA was established by Pope Paul VI in 1967; its establishment removed two functions from the IOR, payroll and finances related to real estate holdings. Who has come to prominence or disrepute based on association with the Vatican bank and for what reason? Alberto Cardinal di Jorio (1884-1979) was the senior cleric at the IOR under Nogara. Di Jorio had an aggressive financial style and a talent for investing and, along with Nogara, he played a significant role in setting up a successful portfolio for the Vatican bank. Henri Maillardoz, Luigi Mennini and Massimo Spada worked together in administration at the IOR to run the bank after Nogara’s retirement. Henri Maillardoz succeeded Nogara as president of the IOR and retired in 1967. Luigi Mennini worked in high administrative positions at the Vatican bank and worked closely with all its CEOs, from Nogara to Marcinkus. During the years that Nogara ran the IOR, Massimo Spada was second in command to him; Spada retired from the IOR in 1962 but continued to advise bank management. Pellegrino De Strobel was the chief accountant of the IOR; he was charged, along with Marcinkus, Spada and Mennini, in the 1982 collapse of the Banco Ambrosiano. The charges were dropped in 1987 by the Italian court which concluded that Italian authorities did not have jurisdiction in Vatican affairs. Emerson Bigelow worked for the United States Treasury Department. After World War II he conducted investigations in Europe. An aspect of his work entailed looking into the puppet government put in place in Croatia by the Nazis; the name of this government was the Ustashi. Bigelow determined that the Ustashi stole cash, gold and valuables from Jews, gypsies and others whom they deported to concentration camps. What happened to the plunder? Approximately 200 million Swiss francs made its way to the IOR where some of it was laundered and used to buy counterfeit passports and passage from Europe for Ustashi leaders. Bigelow’s report was released in 1997 after a request made under the Freedom of Information Act. The report led to the institution of a 1998 lawsuit against the Vatican bank filed by survivors and descendants of the Ustashi. The lawsuit was dismissed in 2009 under terms of the Sovereign Immunities Act. Monsignor Paul Marcinkus (1922-2006) was an American priest who was stationed at the Vatican in the 1950’s where he made the acquaintance of influential members of the clergy. Pope Paul VI asked Marcinkus to accompany him on his foreign trips and to organize these trips. Pope John Paul II used Marcinkus’ services in the same way. Although the Catholic church condemned freemasonry and forbid Catholics to join, Marcinkus joined Propaganda Due (P2) in 1967. Although he had no experience or expertise in finance, in 1971 Pope Paul appointed Marcinkus president of the Vatican bank and he served in that capacity until 1989. Pope Paul VI also made Marcinkus Vatican City’s chief administrator, so he held two high profile posts simultaneously. Marcinkus worked with Michele Sindona, and later with Roberto Calvi, in crafting and carrying out investment strategies for the bank’s portfolio as well as in trading and account management. Both Sindona and Calvi engaged in fraudulent activities involving the IOR and the bank lost money due to failed investments. Whether or not Marcinkus was a willing co-conspirator or a person taken advantage of is debatable. One question relates to an interaction of Marcinkus and Calvi in which Marcinkus seemed to endorse Calvi’s credit worthiness so that Calvi could borrow money for his struggling enterprises. After giving Calvi a so-called “letter of patronage,” Marcinkus got a back-dated letter (August 26, 1981) from Calvi “absolving the Vatican from any obligation to repay the loans.” (Posner, 319) Marcinkus was indicted, but never tried, for fraud. He spent four years inside the walls of the Vatican in order to avoid arrest. After the Italian court determined that it did not have jurisdiction over him because of the status Italy granted to the Vatican in the Lateran Pacts of 1929, Marcinkus left Rome and returned to the United States where he worked as a pastor in Arizona. Michele Sindona (1920-1986) was an Italian financier who was brought into the IOR by Pope Paul VI to help the Vatican bank grow its wealth by aggressive investing. Instead of putting together a balanced investment plan, Sindona convinced Archbishop Marcinkus and other key officials at the IOR to liquidate most of the equity the Vatican held in Italian stocks and to invest in foreign stocks and banks, mainly in Italy but also other countries. Nogara had used his influence to get allies on boards of directors of corporations of which the Vatican was a major shareholder. Sindona took a different approach, making the Vatican a passive investor. Sindona himself bought banks and as the banks lost money, Sindona engaged in fraud to make it appear that his holdings were solvent when that was not the case. Sindona’s losses in currency and commodity trading had a ripple effect, undermining the soundness of his banks. Sindona’s most stunning loss happened in1974 with the FDIC takeover of the bankrupt Franklin National Bank in New York. The banks in which Sindona was involved in the U.S. and abroad were short of capital and they failed. Marcinkus involved the Vatican bank in Sindona’s enterprise by buying minority shares in most of Sindona’s banks and by participating with Sindona in foreign exchange trades. Paul Williams states that Sindona talked Marcinkus into investing in Sindona’s Swiss bank, which laundered mafia drug money. (128) Sindona was convicted of fraud in a U.S. court and sentenced to 25 years at Otisville prison. He was subsequently extradited to Italy where he was convicted of fraud and murder. In 1986 Sindona died in an Italian jail after ingesting poison; his death was ruled a homicide. The Vatican bank’s loss due to its dealings with Sindona is estimated to be between $240 million and $1 billion. Sindona’s rationale for advocating a change in the Vatican’s investment strategy was that it would save money on taxes; Marcinkus took his advice. Paul Williams wrote that money from the mafia drug trade passed through banks owned or controlled by Sindona. “These sums were moved to an account held by the Vatican Bank. The Vatican Bank, in turn, transferred the amounts -- minus a 15 percent commission - to Sindona’s account at the Banca de Financement in Geneva.” (107) Coincidentally, the Vatican owned 29% of Banca de Financement. (108) When the Franklin National Bank in the United States failed in 1974, it was the biggest bank failure in the U.S. until then. Roberto Calvi (1920-1982) is best remembered for owning a majority share in Banco Ambrosiano and becoming its president before making terrible investments and causing the failure of Banco Ambrosiano. Having lost money with Sindona, Marcinkus doubled down with Calvi. (Posner, 237) In interactions with Archbishop Marcinkus beginning in 1969, Calvi set up dummy corporations and used nonexistent earnings from these corporations to fund bank purchases. After Sindona’s fall from grace in 1974, Calvi’s influence at the IOR increased. His influence ceased in 1978 when the Italian government opened a criminal probe against him. Part of the mirage of credibility Calvi crafted came from Marcinkus’ letter of patronage in which he, as president of the Vatican bank, vouched for Calvi’s dummy corporations, calling them responsible financial firms. Calvi used Vatican money to cover losses and used the IOR to hide money from tax inspectors and bank regulators. (Posner, 238) The Vatican ultimately paid $244 million to Calvi’s creditors. Seeking to evade prosecutors, Calvi fled from Italy to London where his body was found hanging from the Blackfriar’s Bridge; his death was declared a murder based on the exhumation of the body and the findings of a 1998 coroner’s inquest. Marcinkus was charged with being an accessory to the bankruptcy of the Banco Ambrosiano but he eluded arrest because he stayed within the confines of the Vatican, giving him diplomatic immunity. Licio Gelli (1919 - ) is a wealthy individual who was the leader of a Masonic lodge known as P2. According to Posner, “Gelli used the IOR to deposit illegal money belonging to Palermo’s godfather, Silvestri Riina.” (377) Among the members of P2 were Paul Marcinkus, Michele Sindona and Roberto Calvi. The focus of P2 was fervently anti-communist and it aimed to get right wing leaders elected in Italy and other countries. (P2 is the shortened form of the lodge’s name, Propaganda Due.) The lodge was shut down by Italian police in 1983 because of its role in plotting a coup against the Italian government. Although freemasonry was condemned by the Vatican, many high ranking church officials belonged to P2. Cardinal Angelo Sodano (1927 - ) was Vatican Secretary of State under popes John Paul II and Benedict XVI. Sodano was informed about problems at the IOR and briefed both popes about issues at the bank, but Sodano blocked access to the popes by the IOR president. Angelo Caloia was a lay man who was president of the IOR, and his access to Pope John Paul II was impeded by Sodano (Posner, 371) preventing Caloia from informing the pope about financial misconduct taking place at the Vatican bank. Angelo Caloia (1939 - ) is a lay man who took over the presidency of the IOR after Marcinkus was forced out due to the scandals involving Sindona and Calvi; Caloia served as president for twenty years. Caloia’s task was to restore the reputation of the Vatican bank and get its financial affairs in order. The hope was that the IOR would morph into something pedestrian rather than rogue. (Posner, 365) After Caloia’s appointment, DeBonis clashed with him and Caloia was repeatedly frustrated in trying to stop money laundering facilitated by high ranking clergy. Following the advice of Cardinal Bertone, his secretary of state, Pope Benedict relieved Caloia of his office with two years remaining on his contract. Ettore Gotti Tedeschi (1945 - ) was appointed by Pope Benedict XVI to succeed Caloia as president of the IOR. While serving as president, Gotti Tedeschi compiled a dossier about problems within the IOR but he was blocked by the pope’s secretary, Cardinal Bertone, from ever having direct access to Benedict so as to be able to hand him the material. During his tenure Gotti Tedeschi had a hard time dealing with officials of the curia and he was troubled to discover that IOR record keeping was even worse than he had thought. For reasons that are not clear, the board of the IOR asked for and received Gotti Tedeschi’s resignation. Their rationale for terminating his service was his supposedly progressively erratic personal behavior; Gotti Tedeschi threatened legal action against the Vatican for the grave error he said the pope made in firing him. Paolo Gabriele (1963 - ) was Pope Benedict’s butler; as such, he had access to the pope’s papers. It is unclear whether Gabriele acted on his own or because he was asked to do so, but it is clear that he copied papal correspondence and other documents and delivered that material to the journalist Gianluigi Nuzzi who used the pilfered information to write articles and a book which were critical of the Vatican and which exposed excessive spending for goods and services provided by vendors with ties to Vatican officials. The material also contained reports of infighting in the Curia about attempts to institute reform measures in the Vatican bank. Gabriele was found guilty of theft and served six months of his sentence in the Vatican jail before he was pardoned by Pope Benedict. Gianluigi Nuzzi (1969 - ) received the documents stolen by Paolo Gabriele. These documents were published in the Italian press as well as in a book entitled The Secret Papers of Benedict XVI, bringing bad publicity and embarrassment to the Vatican. Nuzzi also received the papers of Monsignor Renato Dardozzi, which he published as Vaticano S. p. A.
Ernst von Freyberg (1958 - ) was appointed president of the Vatican bank by Pope Benedict XVI in 2013 and served in that position for seventeen months, until July 2014, when he stepped down during the reorganization of the bank under Pope Francis. It is unclear whether or not von Freyberg’s decision to leave was voluntary. Jean Baptiste de Franssu (1963 - ) was appointed president of the Vatican bank by Pope Francis in July 2014. He took office along with five new lay directors. Rene Brulhart (1972 - ) is a Swiss lawyer who was appointed director of the Financial Information Authority (FIA) in 2012 by Pope Benedict XVI. Under Brulhart’s management, Promontory Financial Group, a U.S. firm, is going through Vatican bank accounts and eliminating those which should not be there. Brulhart has also hired Ernst & Young to scrutinize Vatican property holdings and KPMG to bring accounting systems up to international standards. A principal task or Brulhart’s office is to make certain that the IOR does not engage in money laundering or take part in financing terrorism. His appointment was seen as a sign that the Vatican was getting serious about restraining the activities of the IOR and operating according to European Union standards. Pope Pius XII (1876-1958) started the Vatican bank and was interested in growing the wealth of the Catholic Church. He was pope from 1939 to 1958. Pius trusted Nogara’a financial instincts and approved of transactions with both Allies and Axis during World War II. Some of the unresolved issues related to the Vatican bank date to his papacy. According to Jason Berry, 100 million lire were given to the Christian Democrats by Pope Pius XII. (26) Whether or not popes should use bank profits for political purposes remains a vexing issue. So, too, do questions related to the church’s involvement with the Ustashi leadership during his papacy and whether or not ill-gotten goods remain in safe keeping at the IOR. The biggest question of all is whether or not it was a good decision to establish a bank at the Vatican. Pope John XXIII (1881-1963) served as pope from 1958 to 1963. 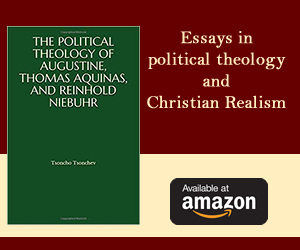 He refused to provide funding to the Christian Democratic Party, thus moving away from the policy of Pope Pius XII to use church money to support political interests. His brief papacy was focused on church reform in areas of modernization, ecumenism, and liturgy and there seems to be little attention focused on the operations of the IOR. Bank management was under Nogara’s successors and continued Nogara’s investment strategies. Pope Paul VI (1897-1978) was pope from 1963 to 1978. He made the huge mistakes of putting Marcinkus in charge and allowing for the influence of Sindona and Calvi. When Sindona’s misdeeds came to light, he turned to Roberto Calvi to turn things around. He also reigned when the IOR divested of its Italian stock holdings, leading to large losses from poor investments and wanton speculation. Pope John Paul II (1920-2005) was pope from 1978 to 2005. According to Jason Berry, John Paul II was bored by finance. (104) Although he was advised to reign in the IOR and to terminate Marcinkus, he did not heed this advice. His biggest mistake was trusting Marcinkus; John Paul II found Marcinkus an agreeable ally in directing the profits of the IOR to fund his political interests, i.e., Solidarity in Poland and anticommunist cells in Eastern Europe. (Posner, 279) Paul Williams says that Solidarity got as much as $100 million from the pope. (176) Williams wrote that the pontificate of John Paul II “has resulted in the stabilization of Vatican, Inc. as a financial and political institution. The primary goal of the institution is … perpetuation of its own corporate interests through intrigue, mendacity, theft and … bloodshed.” (199 - 200) When bad publicity was directed at IOR officials, John Paul II predictably responded by saying that the media was bent on discrediting the church. Pope Benedict XVI (1927 - ) was not up to the challenge of managing the Curia or regulating the IOR during his papacy from 2005 until 2013. He viewed the press negatively and was inclined to blame an anti-Catholic bias in the media for bad news about the IOR. In regard to his policies for the Vatican bank, Benedict called for closing all international tax havens which he thought had given support to imprudent economic and financial practices and played a role in the imbalances of development and the flight of capital linked to tax evasion. (Posner, 439) Benedict also established the AIF for oversight of the IOR. A notable shortcoming was Benedict’s not having an open door policy with regard to IOR presidents Angelo Caloia and Ettore Gotti Tedeschi, thus limiting his knowledge of what was going on. Simultaneously, his over-reliance on Cardinal Bertone, his secretary of state, did not serve him well; neither did it advance the stature or operations of the IOR. Pope Francis (1936 - ) was elected pope on March 13, 2013. After a six month investigation, Francis decided to make the IOR a shadow of its former self; to shrink it; regulate it; and move investments out of the bank. On April 7, 2014 Pope Francis announced that the IOR would continue to operate. This decision ended months of speculation that Francis might decide to close the facility. Francis named a new president for the bank (de Franssu), a new lay board, and he replaced four of the five cardinals who acted as overseers. He also strengthened the AIF and required additional safeguards against money laundering and financing terrorism. “Monsignor Battista Mario Salvatore Ricca, who was appointed temporary prelate of the Institute for Works of Religion June 15, had a relationship with another man – the “intimacy” of which was “so open as to scandalize numerous bishops, priests, and laity” of Uruguay, where he served in the nunciature from 1999 to 2004. Msgr. Ricca was appointed to his position, serving as secretary at meetings of the cardinals' commission on the Vatican Bank and assisting in meetings of the bank's board of superintendents, by the commission with the express approval of Pope Francis.” (Catholic News Agency, July 18, 2013) Although Ricca offered to resign, an Internet search did not locate an announcement of either a resignation or termination. What changes were made from 1942 to the present in the structure and oversight of the Vatican bank? At the outset the Vatican bank had a president who ran the operations of the bank and a board of cardinal-commissioners who oversaw the president’s work. In the 1960s an office was created as a counterpoint to the president’s and that office was filled by a member of the clergy. In 2010 a lay Board of Superintendence was established to complement the cardinal commissioners and a prelate was put in place to serve as secretary of the cardinal’s board and act as liaison to the Board of Superintendence. In 2013 the Promontory group was hired and set up offices in the Vatican bank. Members of the Promontory group assure that the IOR operates according to the requirements of the European Union and that there is no money laundering or cooperation in terrorism. Press reports suggested that a new division called Vatican Asset Management was established in 2014 to handle the Vatican’s investments. At that time the scope of activities of the IOR were said to be limited to payment services and financial advisor for employees, Catholic charities and religious orders. In May, 2015, however, when press releases stating the income of the Vatican bank for 2014 were issued, this separation of functions was not a reality. A May 25, 2015 New York Times article makes this point: "Last year, the Italian news media speculated over a possible separation between banking services and asset management at the Vatican bank; the separation never took place." What is the Prefecture for Economic Affairs? The Prefecture for Economic Affairs was established by Pope Paul VI in 1967. Prior to its establishment, the money collected from the annual Peter’s Pence collection to support the works of the pope was deposited directly in the IOR. Peter’s Pence, a worldwide fundraiser for the pope’s charities, typically takes in about $70 to $80 million annually. Since 1967 the proceeds of Peter’s Pence are not deposited directly in the Vatican bank but go, instead, to the Prefecture for Economic Affairs., limiting the discretion of the IOR in regard to investing these funds. What is the relationship of the Vatican bank to the European Union? Up until Italy joined the European Union, the Vatican’s currency was the lire. Because Italy adopted the Euro, the Vatican had a choice: to mint its own currency or to join the European Union and use the Euro. The Vatican chose the latter option; it has been a member of the European Union since 2000 and, based on this fact, the operations of the IOR are monitored by Moneyval, the regulator for the European Union. Where can one find reliable information about the Vatican bank? In 2013, the Vatican established a website devoted to the IOR. The web address is https://www.ior.va/ The website has information about the history, governance, and services of the IOR. Press releases and contact information are available there. Several authors have written articles and books about the Vatican bank. Readers need to be discriminating so as not to accept propaganda, positive or negative, as reflective of the actual condition of the IOR at any particular point in its history. What information is contained in the Vatican archives and how is access to the archives arranged? The Vatican archives contain church documents going back centuries. Access to documents is not allowed until a period of time has passed, in most cases 75 years. Scholars arrange with Vatican librarians to review documents that are not embargoed. The pope has ultimate authority over the Vatican archives and he can allow access to documents on an expedited schedule, if he wishes. Repeated requests for access to World War II era documents that might shed light on what happened to gold and other items stolen by the Ustashi in Croatia have been refused. What is the future of the Vatican bank? The pope decides whether or not the Vatican bank should continue in existence. Future popes are under no obligation to abide by a decision made by the present pope or past popes.